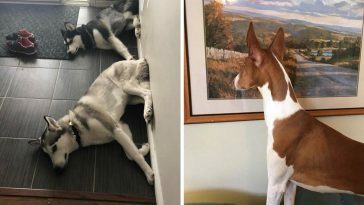 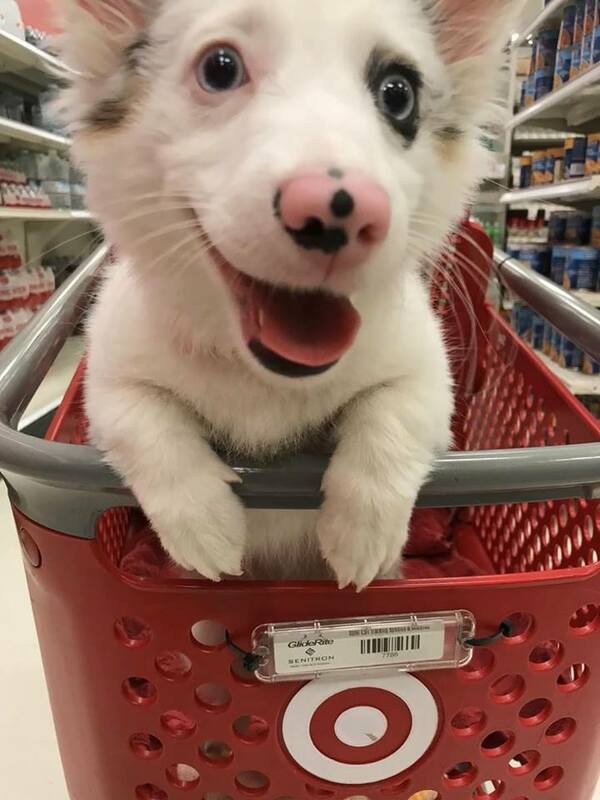 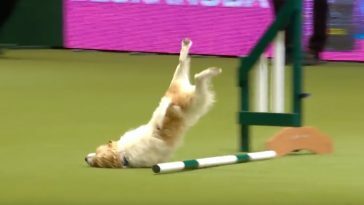 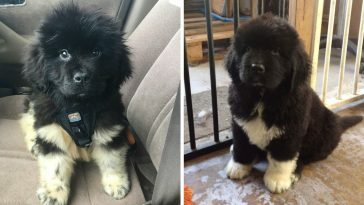 It looks like Bullseye, Target’s dog mascot, has been sent to the backstage when Zira, a four-month-old Corgi-Aussie mix, took over the limelight. 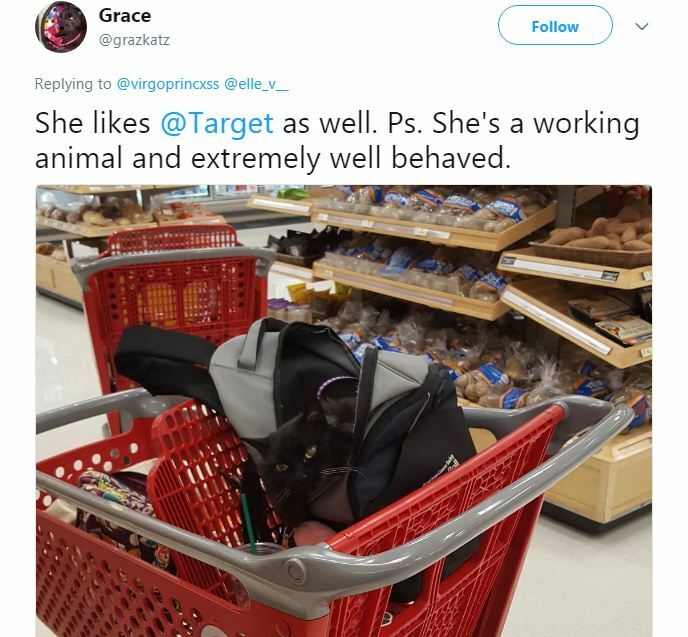 Just recently, Twitter user @virgoprincxss, Zira’s human mom, tweeted purely ecstatic pictures of her dog during a trip to Target. 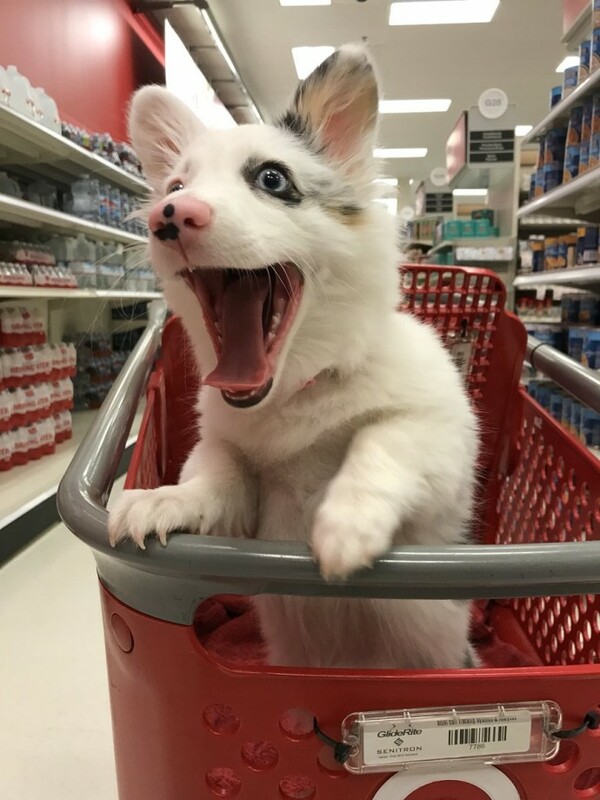 Zira was so hyped just like Target was for some reason one of her favorite places. 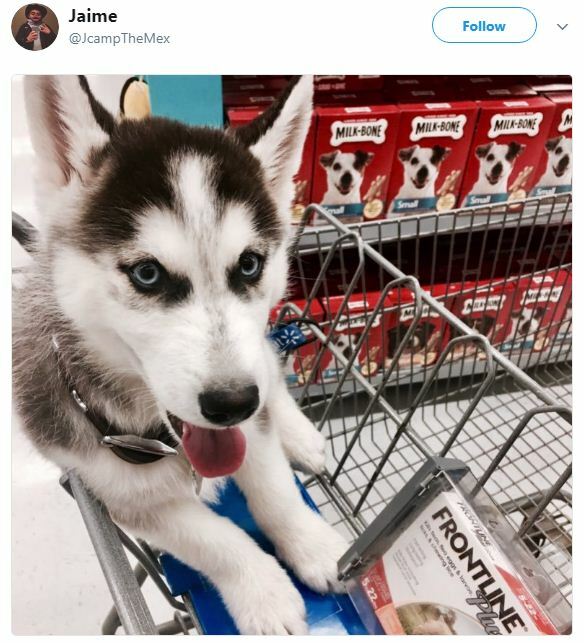 This overjoyed doggo has been spreading good vibes all over the Twitter universe, thus making the post viral with 545k likes and 144k retweets. 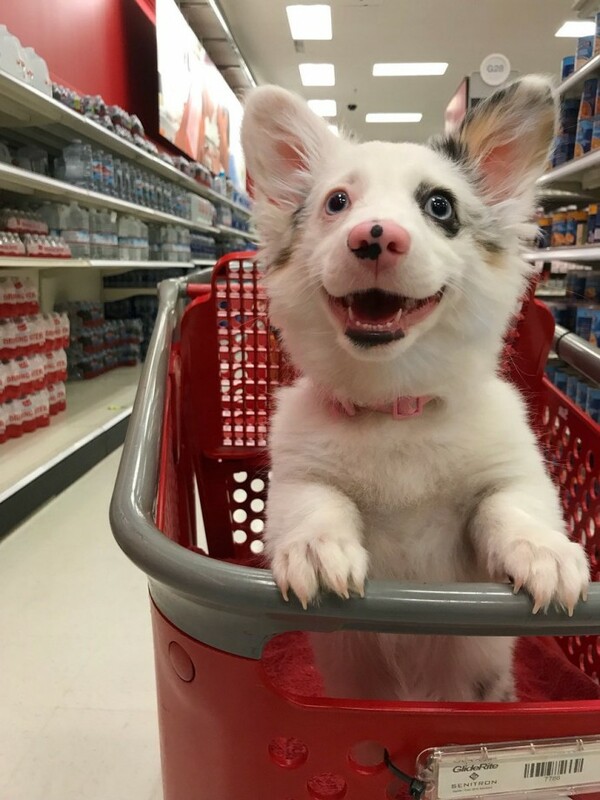 Check out Zira’s post below let this happy shopper’s delightful expression remind you to appreciate the little good things in life. 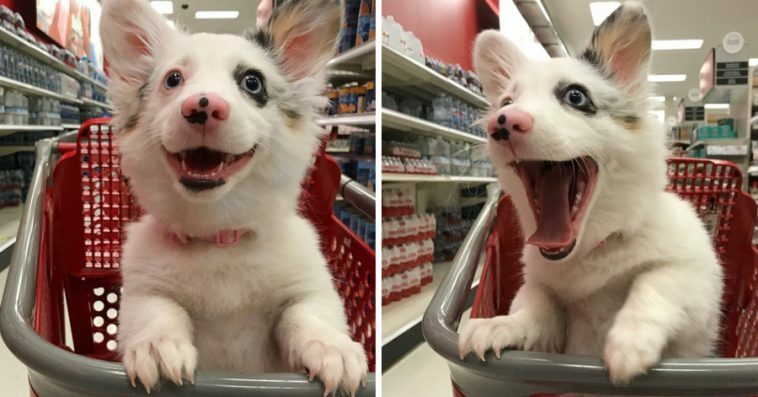 Meet Zira, the overjoyed dog who took a recent trip to Target. 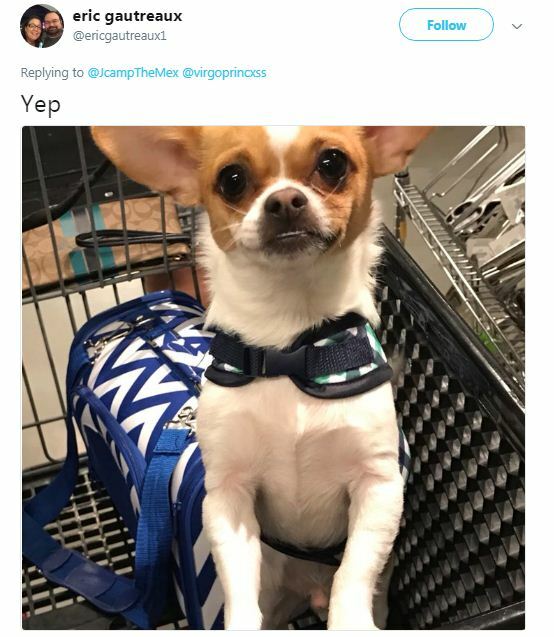 This post featuring her genuinely happy expressions became viral with 545K likes and 144K retweets. 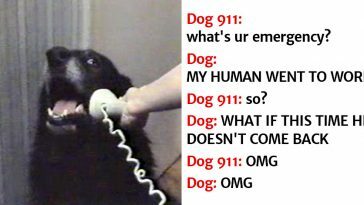 Just look at that face of pure joy. 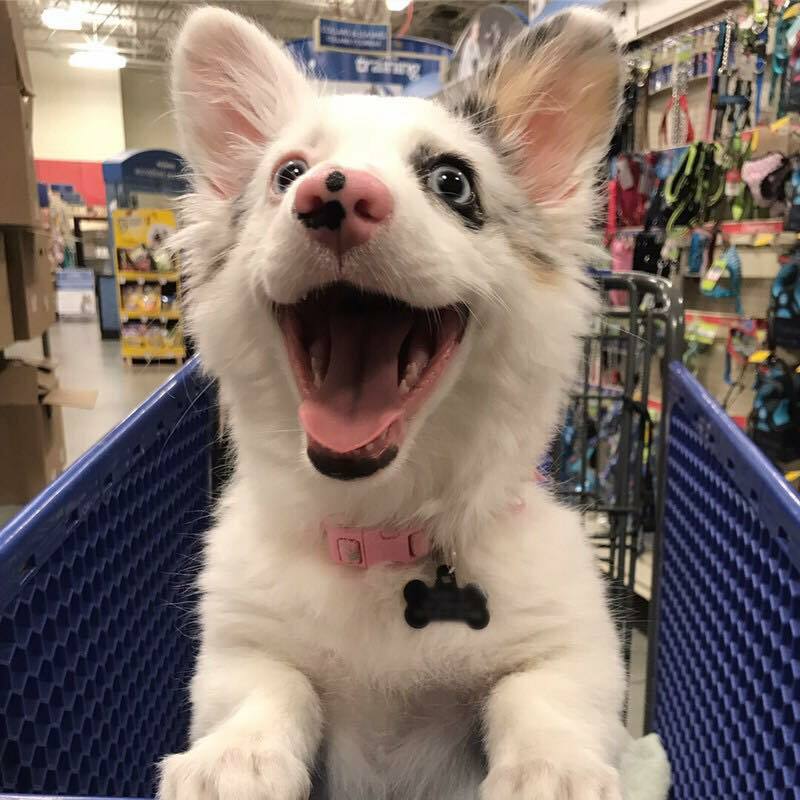 She is definitely a happy shopper, just like most of us. 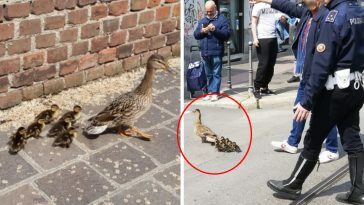 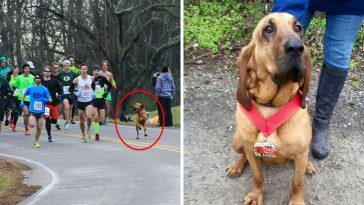 She’s been sending out good vibes all throughout the internet, and everyone’s loving her. 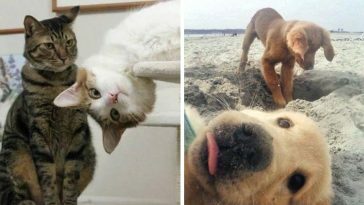 She even inspired many pet owners to share their pets’ blissful shopping moments. 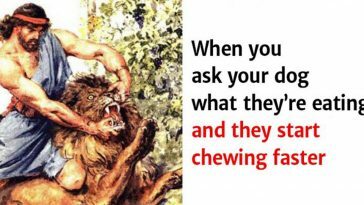 Through positive responses, it’s clear that many have been blessed by Zira’s internet presence. 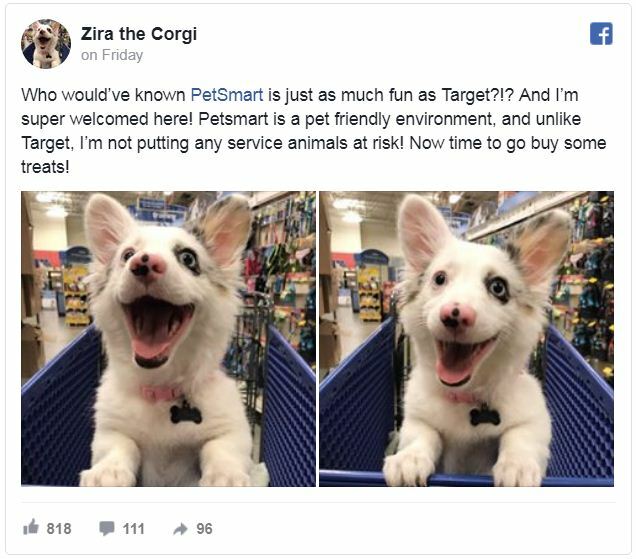 However, some reacted asking why Zira was at Target when it’s illegal to bring non-service dogs inside stores. 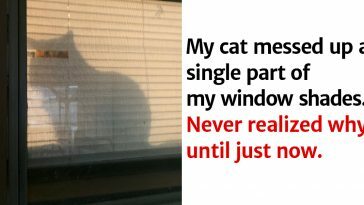 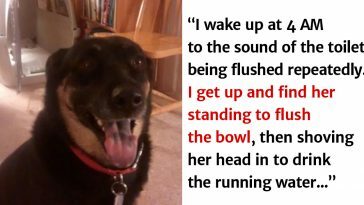 Zira’s mom admitted her fault and apologized through Facebook with equally overjoyed pictures of Zira at PetSmart. 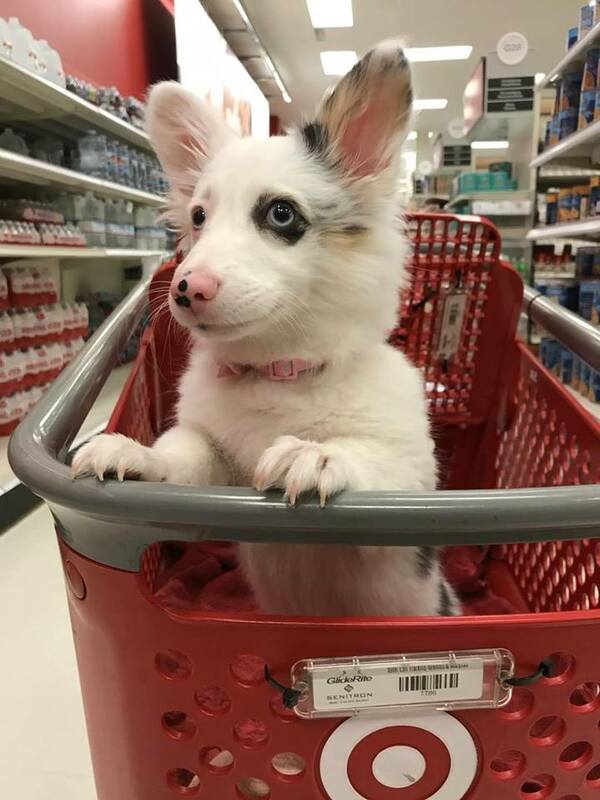 It turns out Zira is just a very joyful dog wherever and whenever, and she’s the best shopping buddy ever. 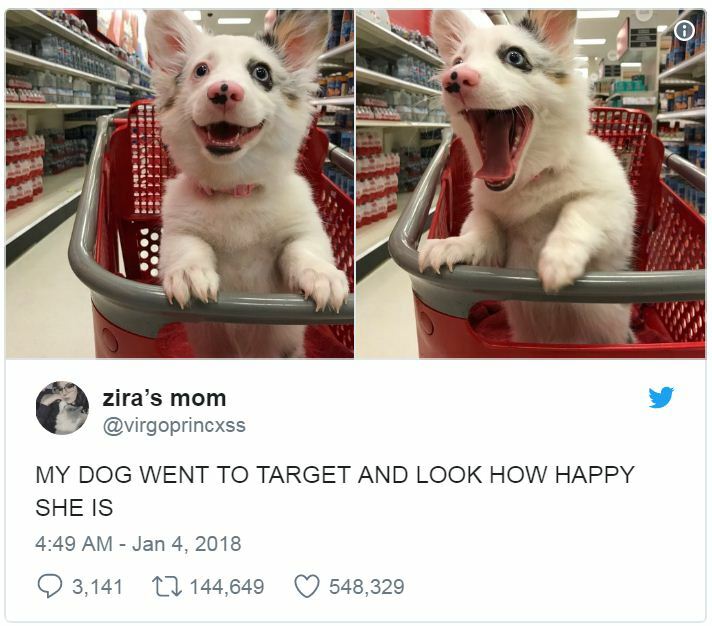 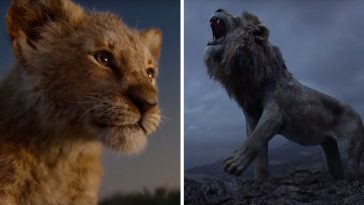 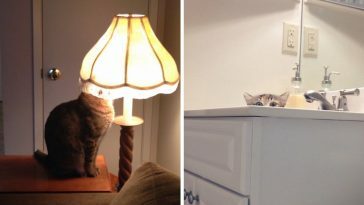 Zira definitely won the internet’s hearts and they just couldn’t resist relating to her joy.